Although Irma was downgraded from a hurricane to a tropical storm as it hit South Florida over the weekend, she still left a trail of devastation in her wake. On Monday state officials began the difficult job of assessing the damage. So far, at least 8 people are confirmed dead, millions remain without power, homes and businesses are destroyed, debris and trees are blocking roadways and downed live power lines are making it extremely dangerous to even enter many areas. 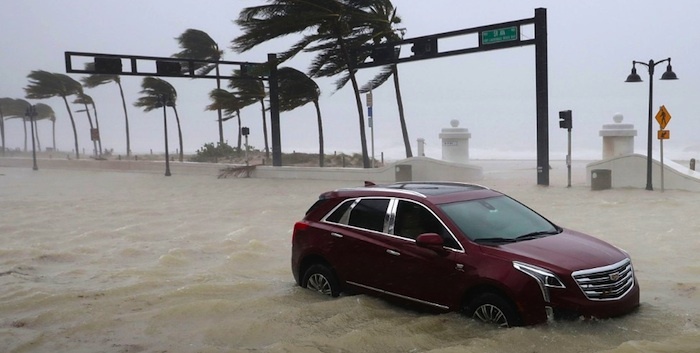 While the heavy populated areas of Miami-Dade and Broward counties were spared the worst, the Florida Keys were hit hardest and Jacksonville is being swallowed in record level flooding. Officials are also concerned that the gasoline shortage will only worsen across the state if thousands of evacuees try to rush back home before the situation is under control. The fuel shortage became a major issue days before the storm and as of Monday morning, more than 40% of Florida gas stations remain out of fuel. The shortage is worst in Gainesville with 63% of stations out, at least 62% are out in Miami and at least half of the stations are out of fuel in Tampa-St. Petersburg, West Palm Beach and Tallahassee. 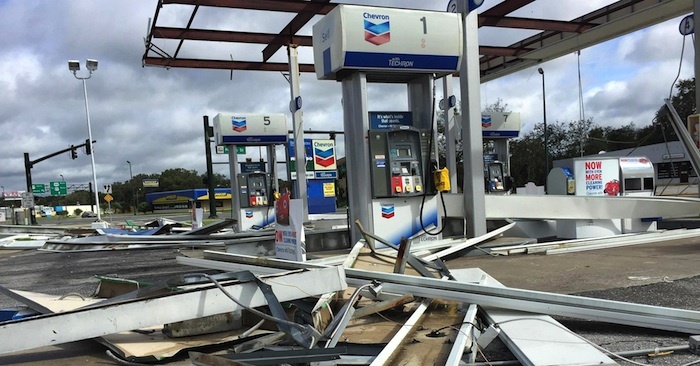 According to GasBuddy petroleum analyst Patrick DeHaan, the gas shortage may only get worse if fuel transportation is further delayed by the storm’s devastation. "Don't be in a hurry to come back," DeHaan warns. “The concern is that as people start coming back as Irma clears, fuel supply in those areas could be very challenged." He also says that with Irma still making her way through the region, barges carrying gasoline are idled in the Gulf of Mexico and many fuel truck drivers can’t make deliveries until their routes are deemed safe to drive. As a result, the gas shortage is quickly spreading into Georgia where 36% of stations in Jacksonville are already out of fuel and over 13% of Atlanta stations are also dry. "The I-95 corridor, in terms of fuel supply, is very stressed," DeHaan says. 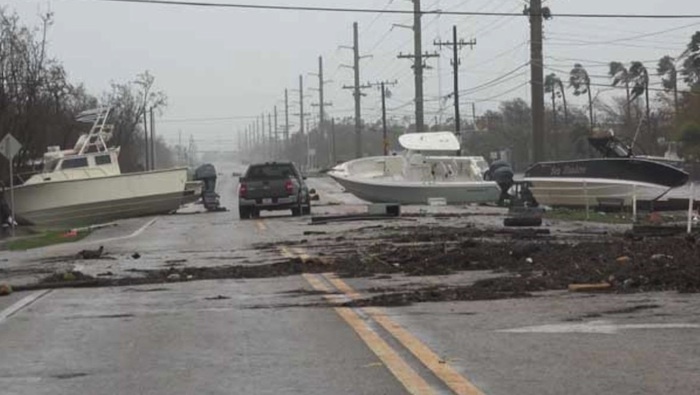 State officials say that everyone from the president to the director of the Federal Emergency Management Agency are working to replenish fuel supplies and that opening the ports and roadways are their first priorities. The Florida Highway Patrol also announced that it's beginning to open roadways to fuel trucks to replenish stations along the evacuation routes but that Southbound US-1 in the Florida Keys will remain closed until further notice. As the Keys residents remain without water, power or cell service, emergency supplies have been deployed to the area via the USS Lincoln aircraft carrier and three other Navy vessels, which are also en route. Several cruise ships are also bringing supplies and offering refuge to displaced residents. Joe Sanchez, spokesman for the Florida Highway Patrol, strongly urges evacuees outside of the devastated areas not to return home until their area has been deemed safe. “We have a lot of debris on the road, we have wires down, live wires,” he warns. “We have to give the proper authorities the opportunity to go down and evaluate the danger and address the danger, so everybody’s got to be patient as we work through this.” On Monday afternoon a man was killed after being electrocuted by a live power line.